For a brief but magical time in music history the Seattle Sound dominated the airwaves and shaped a generation. 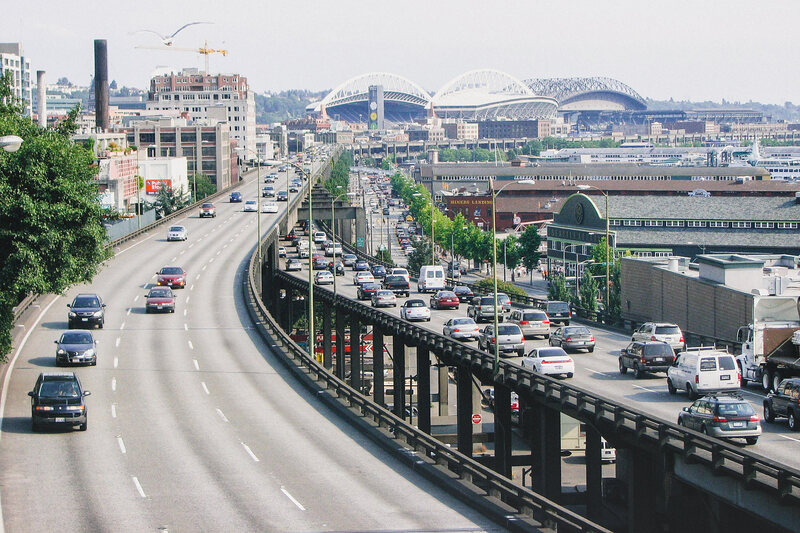 Now another of the cities institutions has crumbled and gone, the equally mystical and murky Alaskan Way Viaduct. 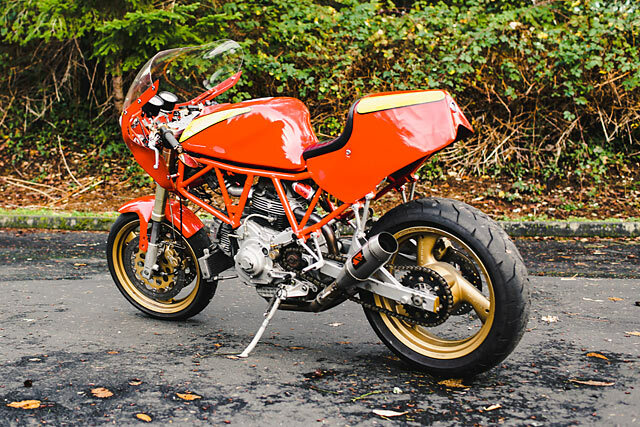 But now a new creative force is flourishing in the North West and it’s the music of classic air-cooled engines that permeates the side streets and freeways. 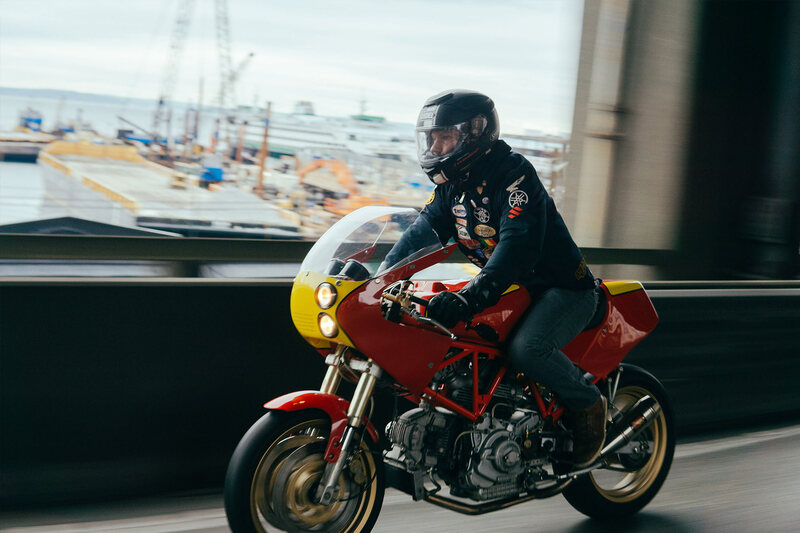 Part of that revival is Speedy Siegl Racing and they snuck into the earthquake damaged Viaduct for one last shoot of their latest creation, a 1994 Ducati 900SS Enduro Racer. But to best understand this build first you have to know a little more about what makes the company head honcho, Isaac Siegl, tick. 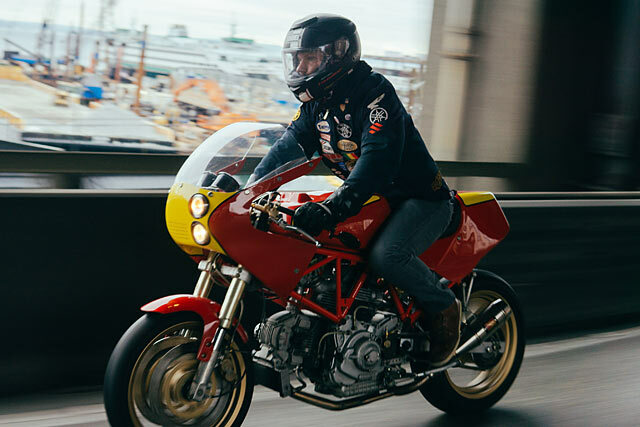 He learnt his skills working at Twinline Motorcycles for the best part of a decade, a workshop that produced one of the first bikes featured on Pipeburn. 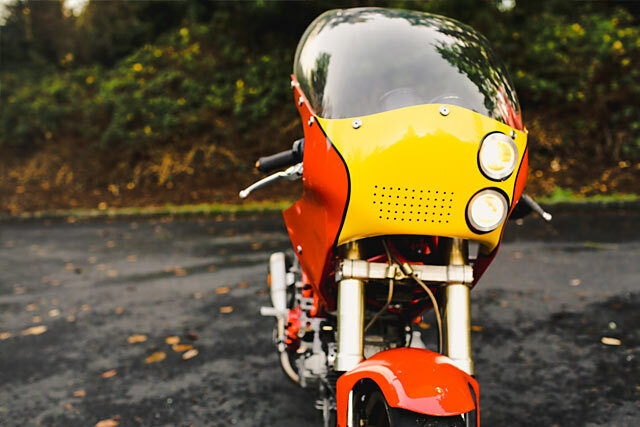 Then in 2015 it was time to branch out on his own and combine his love for making custom parts with vintage racing. Now Speedy Siegel Racing churns out a catalogue of stunning CNC’d products from 6061 aircraft grade aluminium. So to get his fix and have a place to swing some of his high-end pieces Isaac went on the hunt for the right donor bike. Having put the feelers out, news came back of a collector who had a few SS models for sale, one being incomplete and fit the budget. 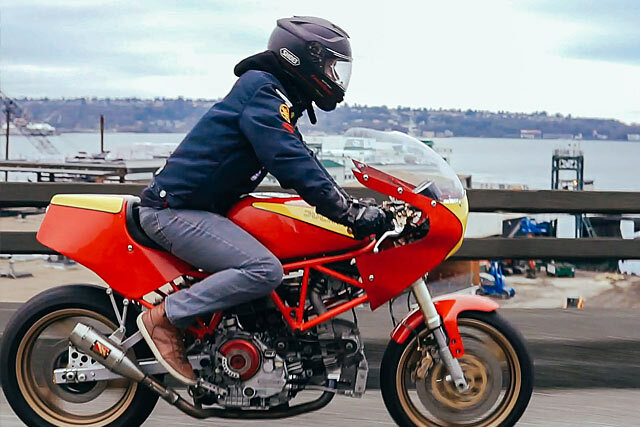 Now Isaac had the right platform, “vintage racing bikes have always been my inspiration, and I try to bring some of that into everything I build. 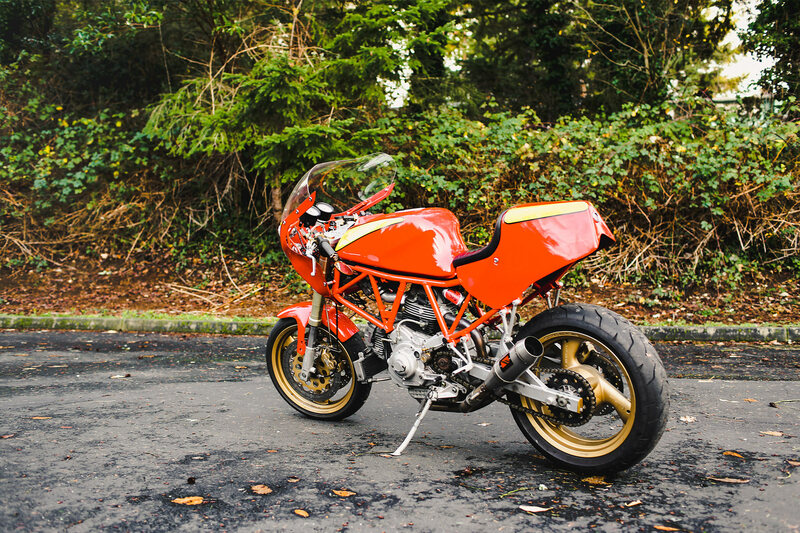 I would call this bike an endurance racer,” he explains. 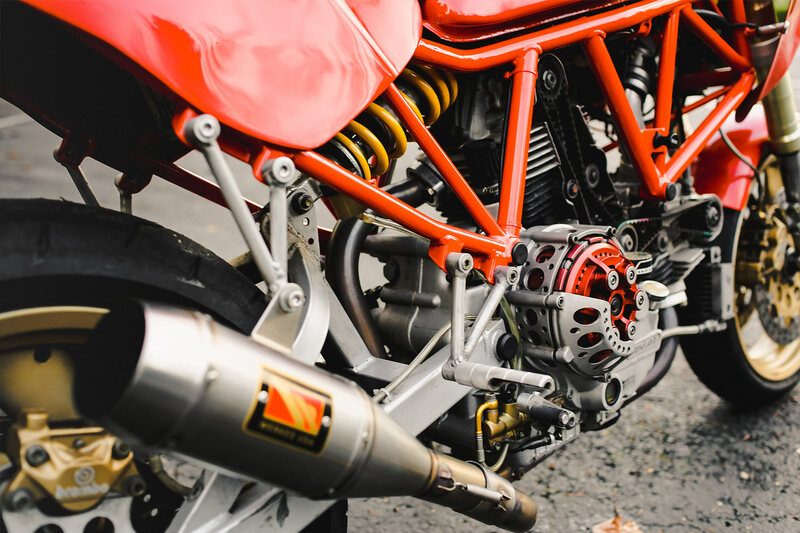 With the Ducati having sat for years the first task was just to get the thing running and despite their simple lay out, Italian bikes can always hide gremlins. But a little graft and the 904cc SOHC L-Twin was putting out its signature thump and immediately Isaac knew what he wanted next. “I had been drooling over the famed “Spaghetti” exhaust for the Supersports, which not only looks beautiful but also performs a little better than the original exhaust. Unfortunately it was way out of my budget, so I built my own out of pre-bent tubes. With a set of Werkes competition end cans to finish out the system you’ve got the bark of the beast with a significant weight saving over stock. To give the same effect on the other side of the engine the bulky airbox has been removed and a set of Unifilters fitted up to the twin carbs. 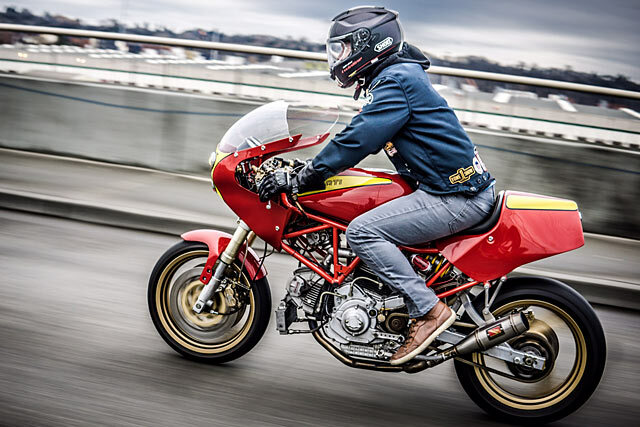 “The dry clutch and belt driven cams are my favourite parts of most Ducati models,” Isaac tells us. 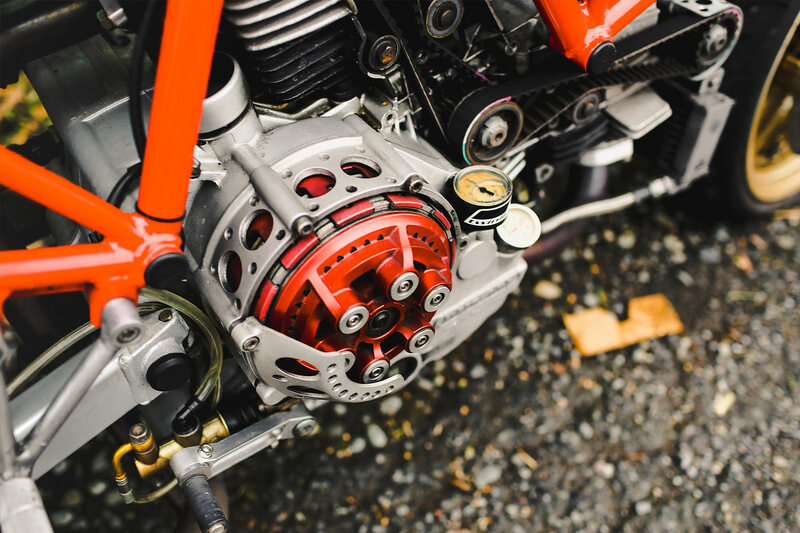 So he vented the primary cover, and modified the original clutch cover to show off the red anodized Barnett clutch basket and pressure plate. To get the stance right it’s been raised 1.5in thanks to a shock mount extension that boosts the length of the factory Showa item. 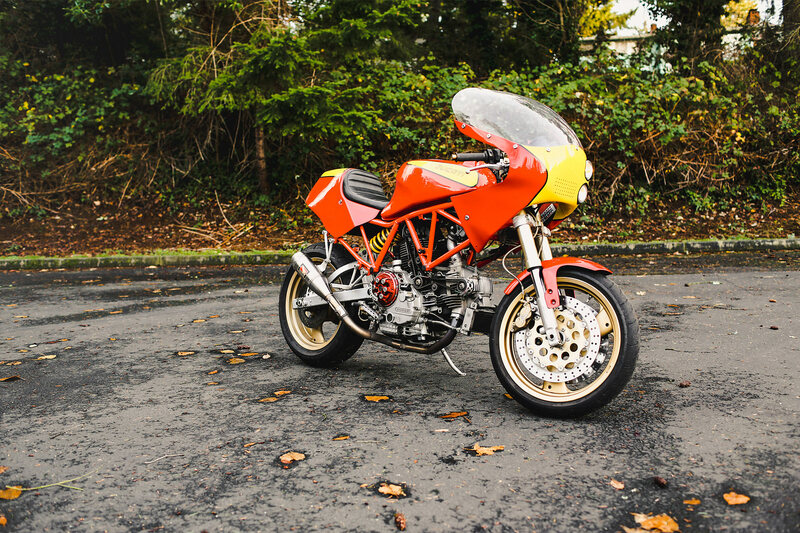 Ducati had already done plenty to quicken the steering of the SS, with just 25° degrees of rake and a short wheelbase, so you can imagine how well this one steers. The factory fitted Showa forks certainly don’t hurt either and with Brembo brakes she’ll stop just as quickly. 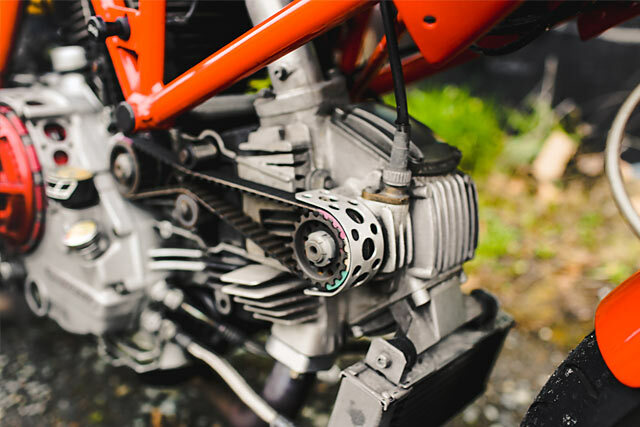 Isaac also added his own touches like custom-made rearsets and a range of small hand-made parts to reduce the weight. 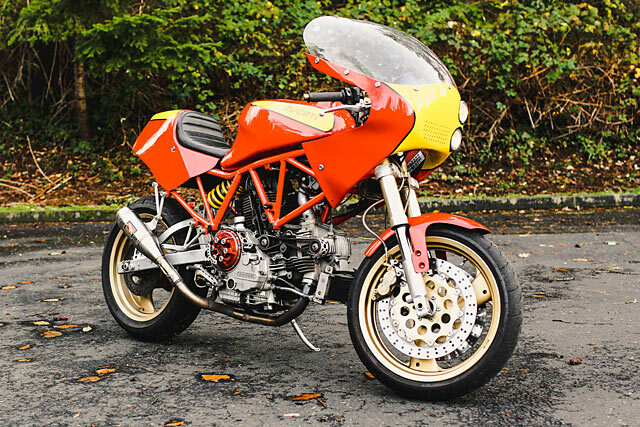 Now finally he could set about getting the look right and the inspiration is undoubtedly drawn from the exquisite Ducati TT2 designed by the legendary Fabio Taglioni. But Isaac is also quick to mention his custom scene influences too, “I had also been inspired by Pepo Reyes of XTR Pepo, and his builds that always nail the classic endurance racing look.” To push his build in the same direction he made a left field choice and picked up a seat and fairing from Airtech Streamlining, originally made for a 1981 Yamaha TZ250. They work brilliantly well on the Ducati, giving the bike just the right look, transforming the ’90s machine into a much earlier enduro racer. 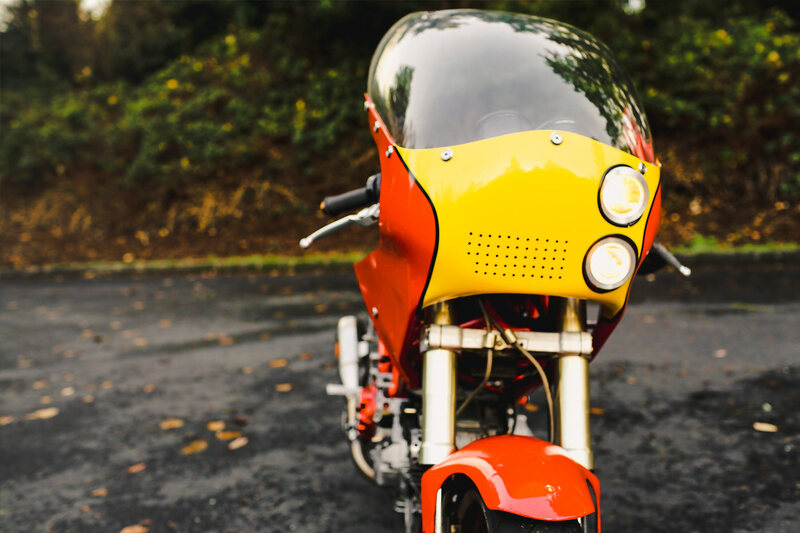 But it wasn’t as easy as it looks, “The fairing was tough to mount because I also needed the fairing bracket to hold the gauges and dual LED headlights,” Isaac explains. Then it was over to friend Mitch to lay down the paint in the classic TT2 livery. 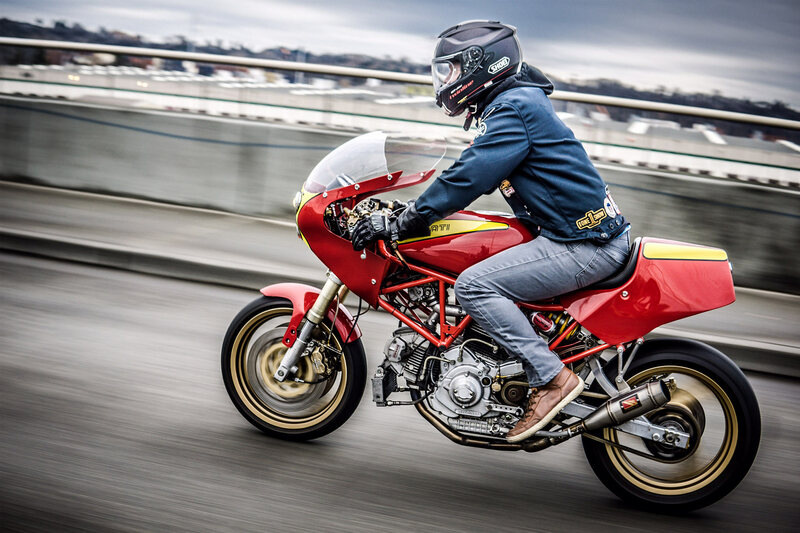 Joined by the Twinline crew, and a custom KZ1000 streetfighter the Ducati was loaded up into the van and they were off to The One Motorcycle Show. ut tragedy struck on the road to Portland, the van cross-rutted in a snow storm and slammed into a barrier, the bikes smashing into each other but thankfully the humans onboard were ok. 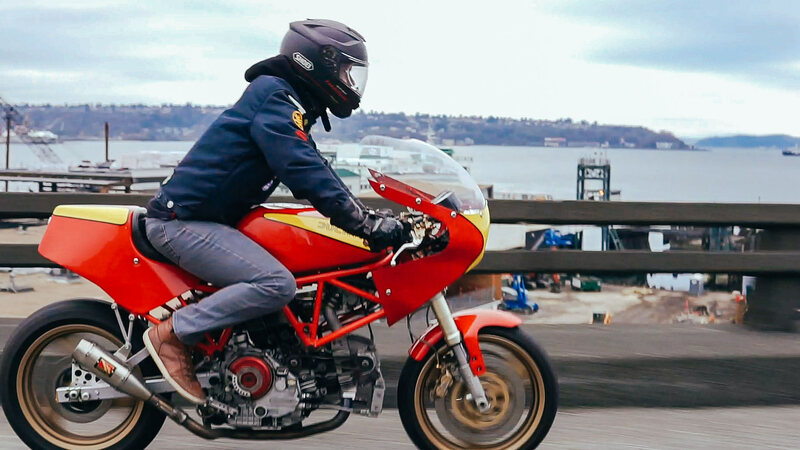 The motorcycles didn’t fare so well, smashed parts and pieces everywhere and back in Seattle it was discovered the Ducati had cracked the frame near the steering head. But undeterred the bike was rebuilt all over again and now with 10,000 miles on the clock on both road and track, it’s proof positive Speedy Siegl Racing build bullet proof bikes with that classic Italian beauty to match!